There are billions of pages on the World Wide Web. How come do you want to be on top? That is just plain crazy. First of all, there’s not a “first result”: my first result, your first result and almost everybody’s first result is just different. Online results vary from user to user, depending on the login status, and even your own results vary based on IP/Geolocation or the device you are searching with. With this in mind, my advice is for you not to focus on the first spot. There are many well ranked pages, so they might get first results as well, and that my friend, can lead to a true leverage on your traffic. Now you must be asking yourself: “How can I do this?” Don’t worry, this is the main concern of today’s article: how you can take simple steps, to guarantee that the basics of Inbound Marketing are in place, so you can grow your website. As Wikipedia states, Inbound marketing is the promotion of a company or other organization through blogs, podcasts, video, eBooks, newsletters, whitepapers, SEO, physical products, social media marketing, and other forms of content marketing, which serve to attract customers through the different stages of the purchase funnel. But in order to go full-throttle with your inbound strategy, you must first validate some basic procedures on your website. 1 . Begin with Website architecture. At this moment, it probably makes sense that you must produce lots of content, approaching several niche aspects of your business. But let’s agree that if nobody can find your content, it will be useless. So what should be your first worry? Website’s structure. Make sure it has all the tools in place, so a Search Engine can find your website first and then index it. Search Engines use software applications (bots) commonly called as crawlers or spiders, in order to find and crawl content on the whole web. For example, Googlebot discovers URLs by following links and reading sitemaps, which should be provided by the webmasters. It finds, crawls and interprets the content, so it can add those pages to Google’s index, and rank them for search queries (keywords/keyphrases) to which it deems them relevant.The problem is, if a Search Engine bot cannot efficiently access, crawl and understand your website, it will surely not rank well in organic search. You must build the structure of your website with Information Architecture in mind. Have in mind the need of an understandable pyramid-shaped hierarchy, with your main category pages near the top, and your more-specific/niche pages closer to the bottom, following a logical structure on the sequence (previous/next) and surrounding pages. A simple way to check if you have an understandable architecture is to read your own URL’s, and from there, try to draw your own sitemap. 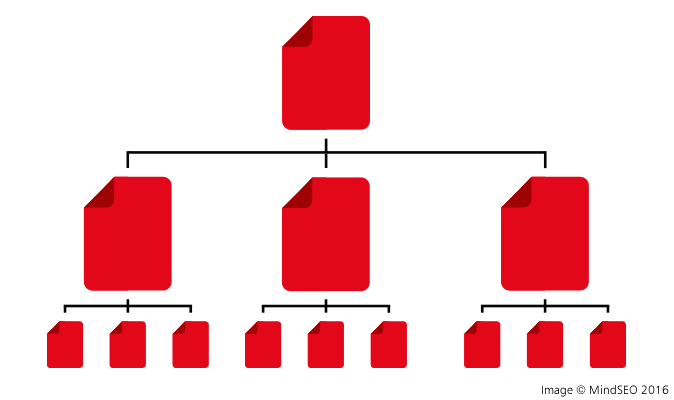 You should be able to not only understand what the pages/folders are about, but to follow the structure from one page/folder to another. Some basic tips are that you should use hyphens instead of underscores as word separators, and you should not find dynamic parameters and queries on the URLs, or be able to find orphaned or empty pages. Besides the URLs, Search Engines can be told about the structure and content of a website by using XML Sitemaps. You can go to Google Search Console Help to learn more on Sitemaps. Be sure to check for crawling errors and indexation/render status on Google Search Console and Bing Webmaster Tools. 2 . Cover the basics of Technical SEO, for a well-optimized platform. Still in a SEO language, another important task is to guarantee that your website’s content will be rendered by browsers and correctly indexed by Search Engines. This means that some of the code placed on your website should explain exactly what kind of content a crawler should be able to get. 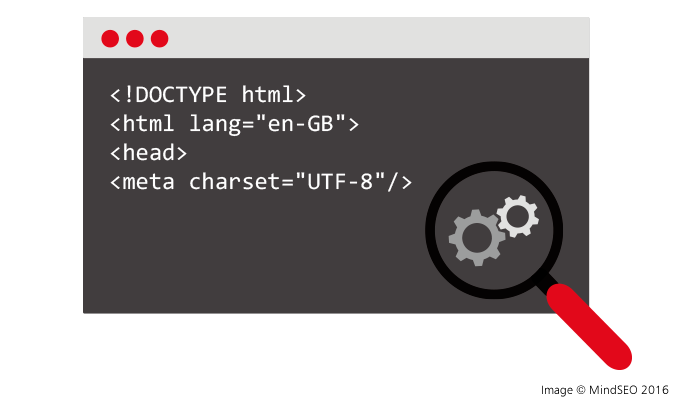 Declare the page language using the HTML “lang” tag, and “hreflang” if your website is multilingual. If you want to know some more about the basics of technical SEO, you should start with MOZ’s Beginners Guide to SEO, and get some more advanced information on Technical SEO and Performance Optimization on Google Developers guide about Performance. 3 . Content Strategy: You don’t need good content, you need the best. With the amount of content available on the web, you’re not waiting to get the top results with one simple piece, right? If you just produce “good quality content”, it will be just one more piece lost in the web, like tears in the rain. So, in order to produce, not good or great, but the best content, you should do some research. How? And the most important: do some anonymous searches in order to validate what kind of content is ranking well for certain topics. If you want to get traction, you must do a lot better than those. If you take some time to research, you will produce content with strategy in mind. 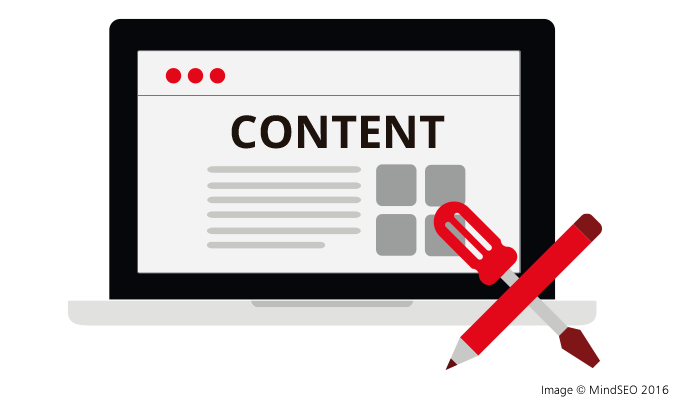 Also, bear to produce content regularly and based in long-tail keywords, so you can target your more-specific/niche pages, with a diverse approach. Also, you should have in mind that consumers are all in different stages. A consumer looking for information and a consumer ready to convert are in different timelines. They’re not looking for the same content. People need information first, and you must have pages with information. If they’re interested, they need to reach to you and therefore, you must have another set of pages, focused on conversion. This article was written by Daniel Pereira – Entrepreneur in the field of Digital Strategy and Search Engine Optimization, founded and manages MindSEO.com – Where besides being Executive Director, he develops as a consultant in Strategic Marketing, with greater focus on aspects of Inbound Marketing and SEO. He is also a Google Trainer, Google Search Console Beta Tester, as well as Tester for the new AMP – Accelerated Mobile Pages. 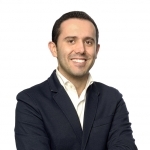 Previously, he was the Executive Director of APPM (The Portuguese Marketing Association) from 2013-2014, and before that, he managed projects on Software Development and Network Infrastructures, for almost 10 years.